This Mother’s Day we make it easy for you to show how much you appreciate your mom with a quick brunch in bed idea. 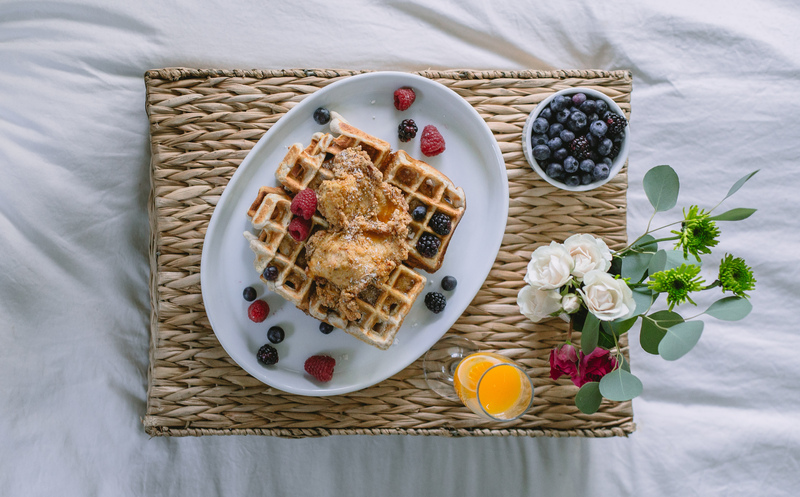 Surprise your mom with chicken and waffles and a side of orange juice and fruit. 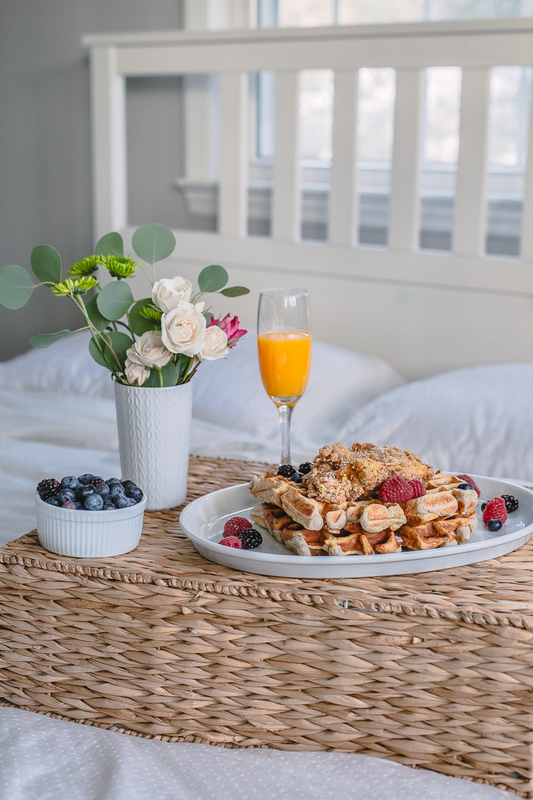 We think this is the perfect Sunday brunch idea! Happy Mother’s Day to all the special women who raised children and loved on their grandchildren and great-grandchildren. Though we have provided a recipe for Fried Chicken below don’t be afraid to pick some up at the nearest drive-through for a simple shortcut. 4. Pour the wet ingredients into the dry ingredients. Stir to combine. Batter will be lumpy. Do not overstir. Serve the waffles with Fried Chicken and syrup. Here is a recipe that we love from our friends at Our State here Momma’s Sunday Fried Chicken.